As a direct seller or network marketer, you may have heard about branding your direct sales business and how important that is. 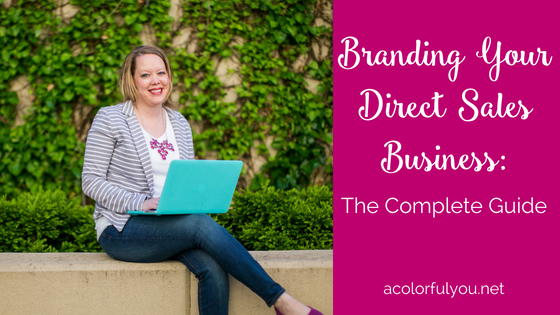 You may know that you need to brand yourself and not your company. But how do you do that exactly? Where do you start? What steps do you take to do it? Do you just need a logo? Some colors or fonts? What exactly does branding mean? Branding is more than just visuals, although they are important. It is also your voice, your personality, your message, etc. Branding is knowing your target market and who your ideal customer is. Did you know that branding your direct sales business can help grow your business? We’ll get to that in a minute! But before we get into the how, let’s talk about the why. Just so we’re all on the same page here, mmmk? I also gotta make sure and mention something. You’re doing business on a Facebook business page, right? It is against Facebook’s terms of service to do business on a personal profile. We wouldn’t want you to get put in Facebook jail now, would we? Yes, that’s a real thing. There’s lots I could talk about on this subject, and there is a way to use your personal profile to your advantage, but for now, let’s just stick to doing business on a business page, ok? When you have a clear brand for your business, it will help you stand out from all of the other consultants in your company. You will be representing yourself as your own business, not just your company. This means you will be seen as a legit business owner, not just another consultant. When you stand out from the crowd, you will get more followers and more customers. Don’t do what everyone else is doing, and don’t copy someone else! Stand out, be yourself, and be authentic! Customers will appreciate this about you and choose to buy from you. This means that you want to make sure you are branding yourself, not your company. Create your own brand around your YOU: your personality, your voice, your target market, etc. Your company already has its own brand. They already spend money marketing their brand. You don’t want to be “just another Scentsy* rep” (*insert your company here). People will choose to do business with you because you are YOU. You don’t want them just going and looking for just any rep; you want them to specifically want to come back and do business with YOU. When you brand your business apart from your company you become recognizable, especially if you are consistent in your branding. Why is this important? If your visual branding is on point your customers will easily recognize you when scrolling through their news feeds. This makes them more likely to stop and read what you have to say. You want them to stop on your page and get to know you so you can begin to build a relationship with them. Relationships are very important in business! Branding your direct sales business successfully will not only cause your customers to recognize you and your brand, but it will help them to remember you as well. When they remember you they are more likely to buy from you. Repeat buyers are huge for your business, so stand out and be remembered! If you are copying what everyone else in your company is doing, you are not going to be remembered. Create your own graphics with your branding, come up with your own posts, and do things your own way! Your brand will also follow you if you ever change directions or companies. This is why it is important to brand YOU and not your company. If you ever decide to switch you won’t have to start all over from scratch. You will already have a brand and (hopefully!) a loyal following. How do you want to be remembered? What do you want your customers to think of when they think of you? How do you make them feel? These are all good questions to ask. When you are recognizable, memorable, and stand out from others in your company, your customers are more likely to come back to your page and your business. They will get to know you, your personality, and your message. You will be able to build a relationship with them. When they get to know you, they will realize they like you and learn that they can trust you. This is huge for your business because customers buy from people they know, like, and trust. In order for them to get to like you and trust you, you have to provide value. You can’t just promote your products on your page all of the time and think they will buy from you. Provide valuable content. Engage with them. Ask questions. Share other information that your target audience is interested in that doesn’t have anything to do with your product. Work on building those relationships, knowing that your branding can help with that! So, what exactly is branding? Like I said before, branding is not just visuals, although that’s what most people think of it as. It is more than just a logo, colors, or fonts. Your brand is how others perceive you and your business; how they feel when they come across your posts or think about your business. You can help define that through your vision, message, values, voice, personality, target audience, customer service, visuals, etc. These should be unique to you and will help you connect with your customers. If you have branded your business successfully, then your business and brand should have a clear message coming across to your customers. They should know exactly what you stand for and what your business is all about. Let’s face it, for most of us our business is not just about selling a product. There is usually another driving force behind it. Maybe you are all about helping women feel more beautiful and confident. Perhaps your goal is to help people be more organized, help people get healthier, make people’s lives easier, etc. Your brand’s vision and message should come across to your customers through your branding. You should have a specific brand voice, personality, etc, that is unique to you. When you try and market your business to everyone, you end up looking “watered-down” and appealing to no one. You need to have a specific market for your business and who you are marketing to. And be specific about it! Instead of just saying your target market is “women who need better skincare products,” come up with a specific “person” who you are marketing to. Maybe “she is a 55 year old women who can’t find a good skincare product and wants something moisturizing and good for dry, aging skin. She used tanning beds when she was younger and did not take care of her skin…” Keep it going and be specific! Not only will you attract people like your ideal client, but you will be attractive to others as well when you know exactly who you are marketing to! I have a whole blog post dedicated to this topic. You may find the post helpful if you’re not sure who your target market is. 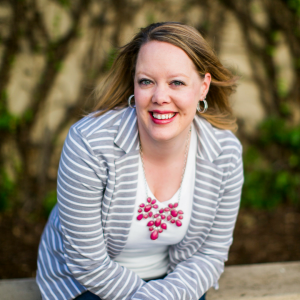 My friend Kelly Paull over at Directly Successful also has a workbook that you can fill out to help you define your target market and your “biche” (as she calls it). Get it here! If you haven’t already done so, take some time to sit down and write down your brand’s mission, vision, goals, values, and your ideal customer. These are all going to play a part in your brand message. Make sure you know your “why” and what your business stands for. What do you hope to accomplish with your business? How do you serve your customers/clients? What problems do you solve? What are you passionate about? You can even think about your personality and how that is incorporated in your brand. Is it fun, light-hearted, humorous? Is it serious and professional? Make sure whatever it is, it is authentic! Authenticity is huge because that is how you will connect with people! Make sure you take time to think about all of these things and write down anything that comes to mind. It doesn’t have to be perfect. You can always refine it later. You may want to start by writing down some adjectives that you want to describe your business. Just get started on it and see how far you get. Be sure to download my Brand Workbook as you are working through it! Just enter your name and email to get access to it! Finally, it’s time to work on your visuals! Here you are going to want to come up with three to five consistent colors and two to three fonts to use in your branding. You may want to think about other patterns and brand elements as well. Be sure you think of your target market and your brand message when you are coming up with these. For example, if you realize your brand is going to have a very professional image, you probably don’t want lots of bright, neon colors! If you’re not sure what colors to choose you may want to google “psychology of color” and do a little research on that or check out this article to help you get started. Design Seeds is a really great website with color palettes that you can look through to help you choose colors that go well together. Creating a Pinterest board and adding pins of images that you feel reflect your brand can also be helpful. You will probably notice a common theme throughout! If you need help choosing your fonts, I’ve found a couple of websites that might help. Here is an article that talks about font pairing that might be helpful. This is another one that is about choosing the right font for your brand. You can also google (or search on Pinterest) things like font pairings or choosing the right font for your brand. Another thing to think about is a logo if you don’t yet have a one. You may want to find a professional (or at least someone with a good eye for design) to help you with one if you don’t have the skills to create it yourself. Investing in a logo is a great thing for your business. If you don’t have the money to invest right now, you can always find and use a nice typeface you like and just use that. Make sure to check that the license allows commercial use! If you want to create your own and not pay to have someone else do it for you, Canva is a fantastic and easy-to-use site to create graphics! 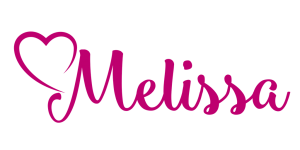 There are others, such as PicMonkey, and lots of phone apps you can use as well, but Canva is my go-to site for most all of my graphics. You can use the free version or you can upgrade to the paid version to save your brand colors and fonts (my recommendation). If you have never used Canva or other graphics software check out this blog post by my friend Erin from Alexander Design Company. 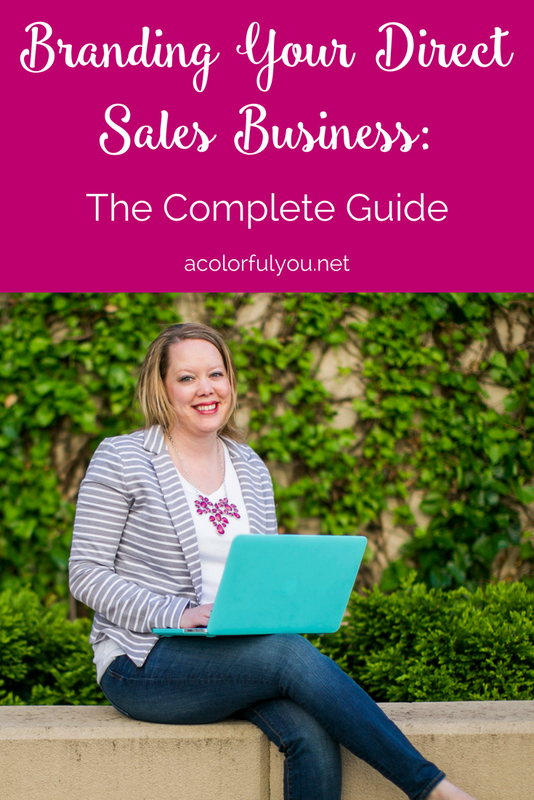 She gets a little more in depth in Canva and even links to some helpful tutorials that you can check out to learn how to use it. It is a great skill to have in your business, and the more you use it, the better you will be! Of course, you can always hire someone to create your graphics for you, but it is good to at least know how to do it. You will want to make sure your graphics have a consistent look, style, and feel to them so that when people see them they start to immediately recognize them as yours. Keep in mind all of the things we have talked about up to now (your brand message, voice, personality, ideal customer, colors, fonts, etc.) when you are creating your graphics. Here is where you get to pull it all together! Now that you have your brand created you will use it across all of your social media platforms. When you post photos or graphics on Instagram, Facebook, or whatever social media platforms you use, make sure they reflect your visual branding. Your content should have your target audience and ideal customer in mind, your voice and personality should shine through your posts, and your message should be the same across all platforms. When you do all of these things you will have successfully branded your direct sales business. Now will stand out from all of the other consultants in your company. Congrats! You did it! I am excited to see how it turns out! Leave me a comment and tell me about your new brand! I’d love to hear and even check it out! This is such great information Melissa! I’m sharing it on my team page. Thank you! Awesome!! Thanks for the share! Thanks for the tips! Can’t wait for my workbook! So excited about this! Thank you Cari Blake for sharing!!! Yay! Glad Cari shared with you! I hope you find it helpful!